Berkeley Coding Boot Camp equips students with the key skills for full-stack web development through dynamic, in-person classes. Berkeley Data Analytics Boot Camp gives professionals the skills they need to be competitive in the booming data analytics industry. Berkeley UX/UI Boot Camp teaches students the technical skills for user experience research and user interface design through engaging classes. Berkeley Cybersecurity Boot Camp gives students hands-on training in networking, systems, web technologies, and defensive and offensive cybersecurity. Founded in 1891, UC Berkeley Extension is the continuing education branch of the University of California, Berkeley. Today, Extension offers more than 2,000 courses each year, including online courses, along with more than 75 professional certificates and specialized programs of study. Free and low-cost public events are also frequently held as part of Extension’s service to the local community. Why Get Hands-On Training at Berkeley? Berkeley Boot Camps equip you with the essential skills to help guide you down a path to success. With strategically engineered curricula, face-to-face interaction, and knowledgeable instructors, you’ll receive a comprehensive learning experience. Our boot camps cover the most in-demand skills across coding, UX/UI, data analytics, cybersecurity, and digital marketing. You will learn and build an in-depth portfolio of projects to demonstrate your working knowledge. 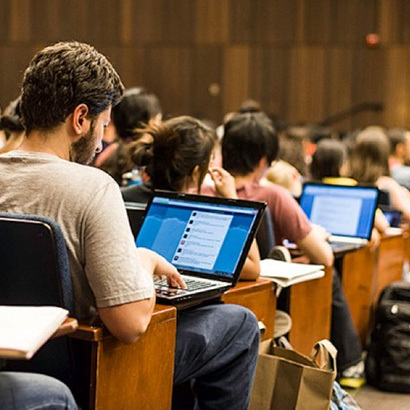 Students tap into Berkeley Boot Camps’ extensive career services and student support. Our coding boot camp provides options to fit your lifestyle, with a full-time option for those who wish to study at a faster pace, as well as a self-paced, mentor-led online coding program. You will receive a Certificate of Completion from Berkeley. Berkeley Boot Camps were created to prepare students with the skills and network needed to capitalize on today’s digital economy. Whether you choose to dive into web development, UX/UI, data analytics, cybersecurity, or digital marketing students will learn the key skills to make their mark in the industry. Students will gain access to career services including mock interviews, portfolio reviews, 1:1 coaching, soft-skills training, and more to equip them for success in the job search. Students will take part in experiential learning opportunities, providing access to new employment possibilities. A certificate of completion from Berkeley, showcasing your achievements to potential employers. Want to take a deeper look at Berkeley Boot Camps? 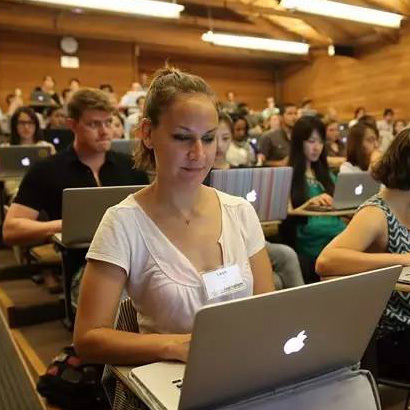 Explore Berkeley Coding Boot Camp, Berkeley Data Analytics Boot Camp, Berkeley UX/UI Boot Camp, Berkeley Cybersecurity Boot Camp, and Berkeley Digital Marketing Boot Camp. Hear what our students and alumni have to say by reading our reviews.